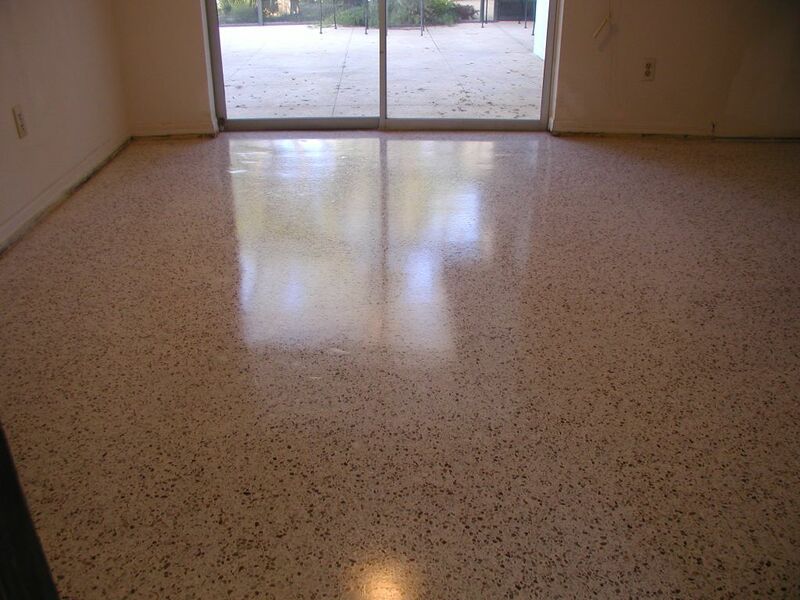 Terrazzo Restoration, Refinishing & Polishing! 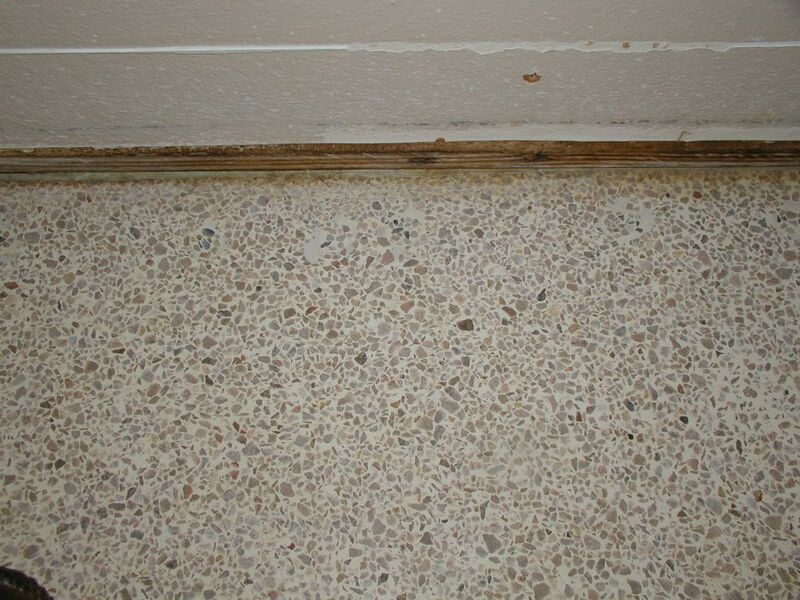 Discovering terrazzo beneath your existing floor covering is like unearthing a buried treasure. After all, terrazzo is a sustainable solid surface marble floor that is hand crafted by artisans, and intended to last the lifespan of the building. It is also one of the most expensive flooring options, which is why it is not used as commonly in residential dwellings as it was back in the 1950's and 60's. Thus, finding terrazzo in your mid-century home is a very sought after treasure. 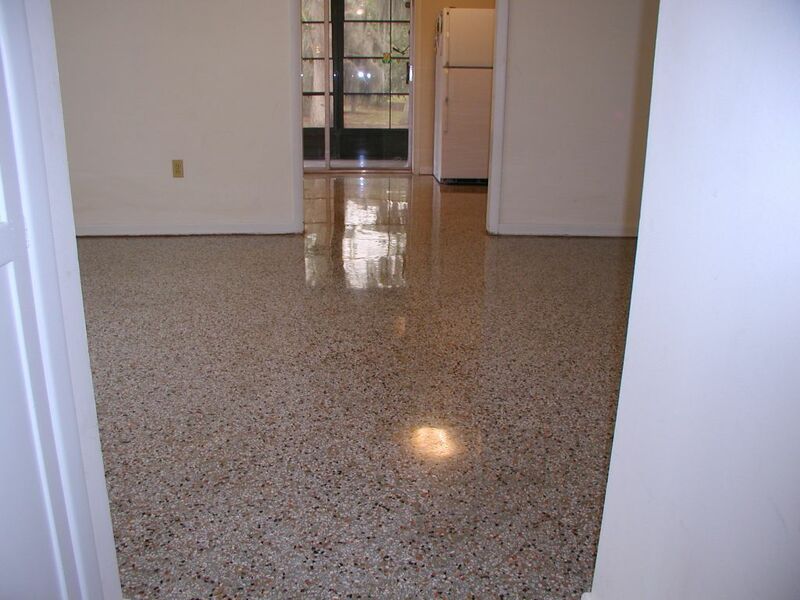 For a fraction of the installation cost, terrazzo can be restored to have a variety of finishes ranging from a honed or burnished look to a glass-like high shine finish that requires NO coatings, sealers or waxes. This finish is achieved by a mechanical grinding and polishing process that uses diamond abrasives that are categorized according to grit size, with lower number grits being more coarse and higher number grits much finer. 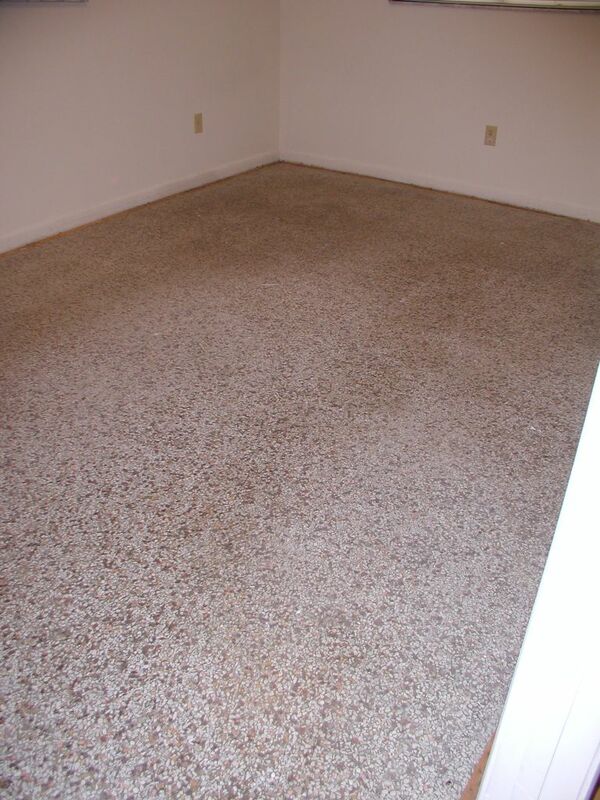 During the diamond grinding and polishing process, we handle any patch work and stain removal that might be required. 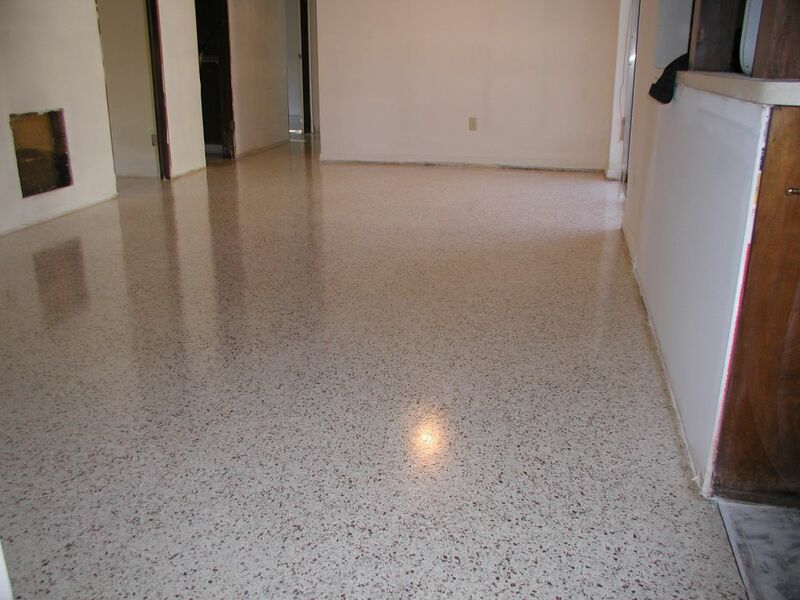 The cost of restoring terrazzo is based on the number of steps or diamond grits required to achieve the desired finish, in addition to any required repair work. Diamond grinding and polishing can range from a simple 3-step process up to a 9-step process depending on how aggressive we need to start the process, as well as the desired level of reflectivity. 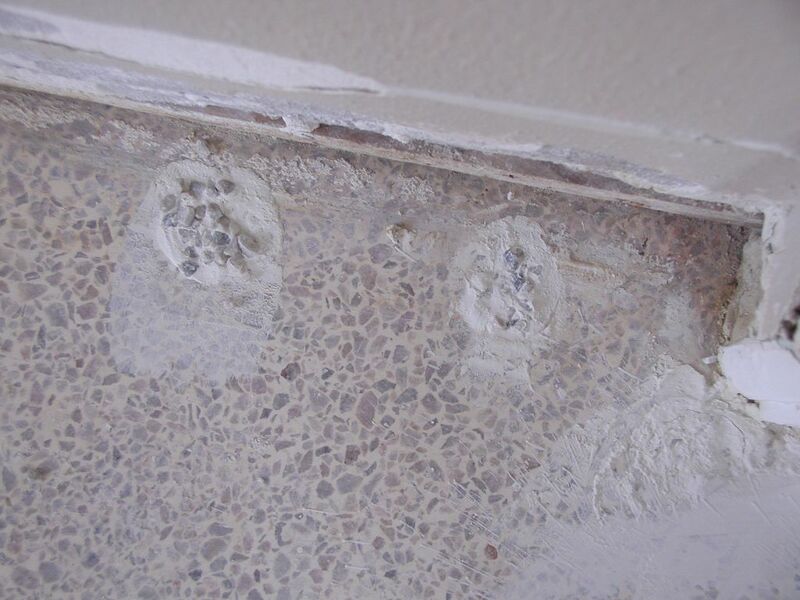 We handle all phases of repair-work, including; carpet tack-strip removal, nail head and wall anchor grinding, large and small patchwork, filling voids where pitting has occurred, troubleshooting stains and discoloration and any other obscurity that might be part of the project detail. If needed, we can also handle all aspects of the project; removal and installation of doors and thresholds, furniture removal and replacement, touching up baseboards and thorough clean-up. These are optional services that we can provide upon request. The bottom line is that restoring an existing terrazzo floor costs a fraction of the installation cost, providing a very high-end artisan floor for a modest price. 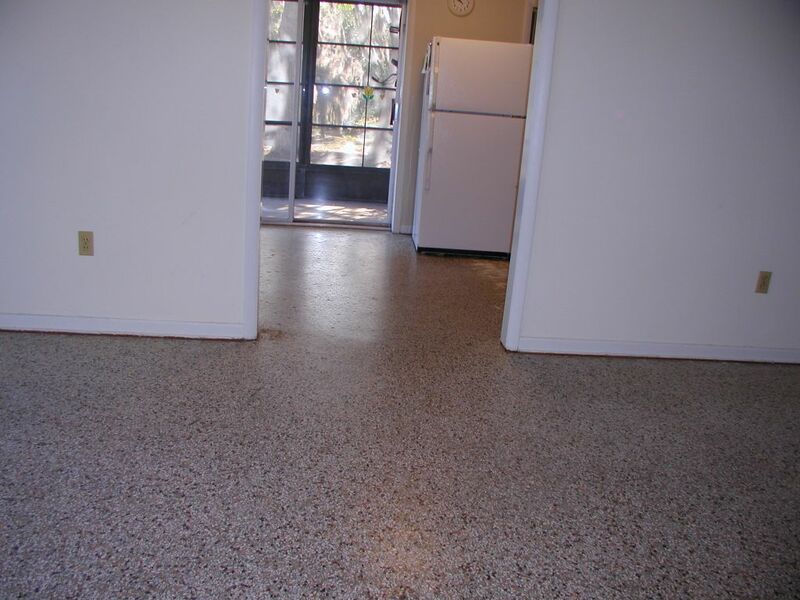 Once the process is complete, your terrazzo will be a permanent flooring solution that requires very little maintenance. 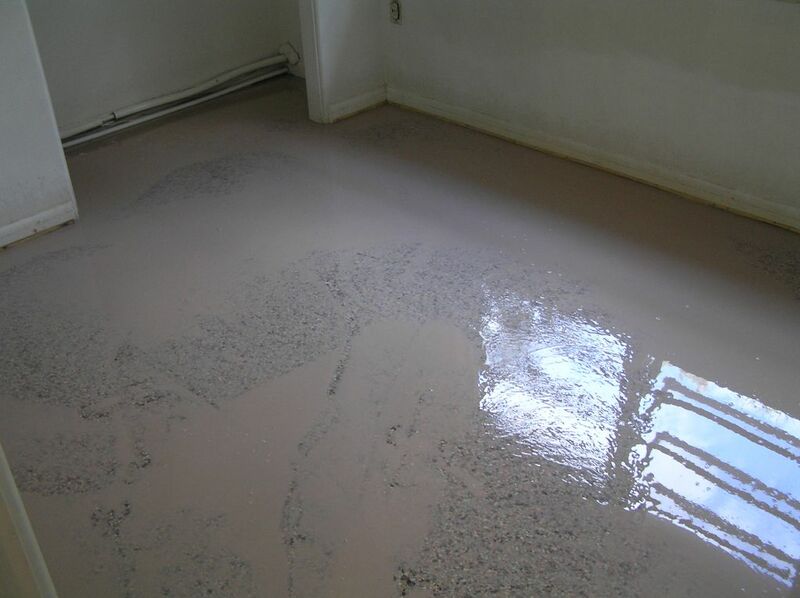 Restoring an existing terrazzo floor costs a fraction of the installation cost, providing a environmentally friendly solid surface artisan floor for very little money. Patchwork can be done with matching terrazzo to create seamless repairs. 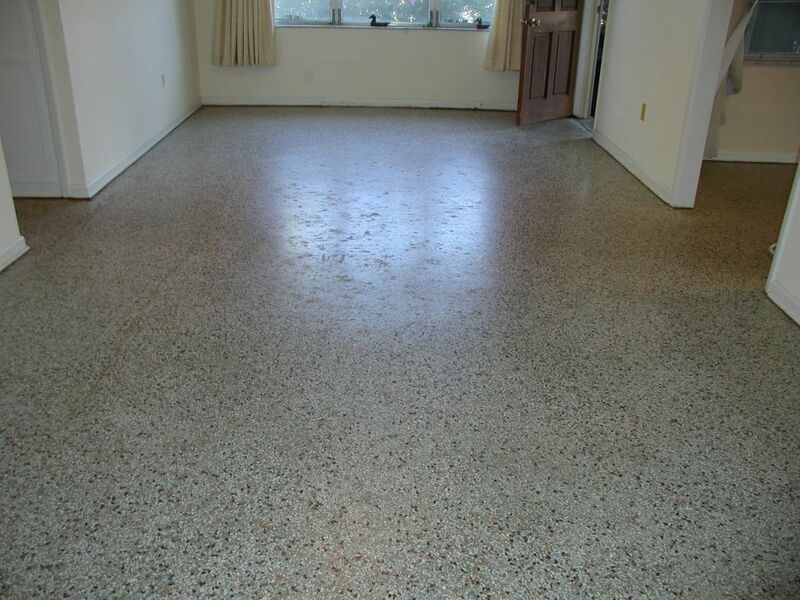 Terrazzo can be densified for added durability and protection against wear and tear. 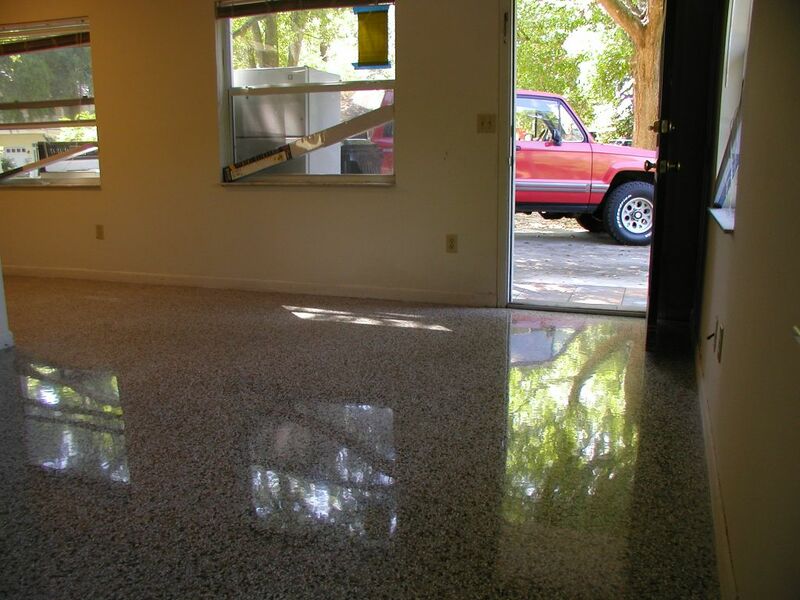 Diamond polished terrazzo will maintain its shine with very little maintenance. High Reflective Diamond-Polished Terrazzo - This green restoration and polishing procedure is done mechanically with diamond abrasives. After diamond restoration and polishing, your terrazzo will have a high reflective finish exempt of waxes and coatings...making it very easy to maintain. 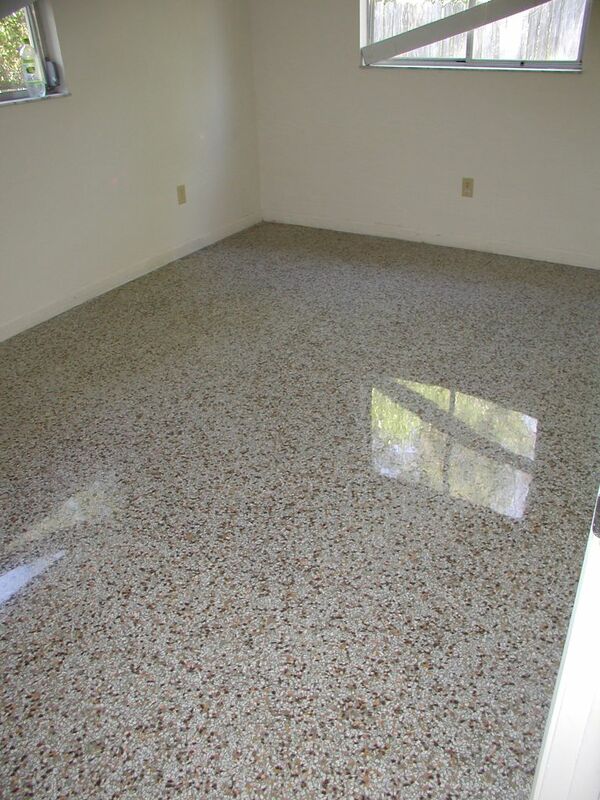 Diamond polished terrazzo should last approximately 5-years before requiring maintenance. 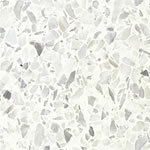 Honed Diamond-Polished Terrazzo - Honed terrazzo does not have a high reflective polish, but rather a burnished look. 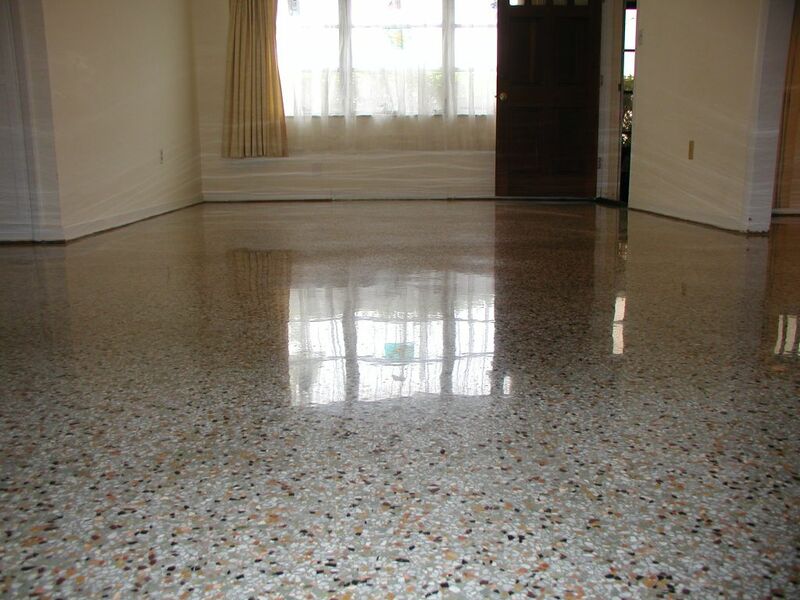 While it is still easy to maintain, honed terrazzo provides a unique look where high polish does not work. * NOTE: Jobs less than 1,000 square feet are based on Time & Material rather than the actual area. Repair work, demolition and grouting are done for an additional expense, which will be noted on the job quote.